But it have all been just for fun until now. 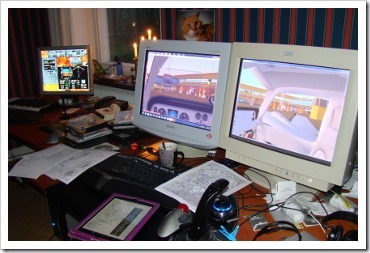 I found VATSIM and there have been a lot happening with simulated flying. Internet and powerful home PC. Network Flying is another thing. These guys mean business so I have yet to do my first flight in the network. Reading up and listening in. 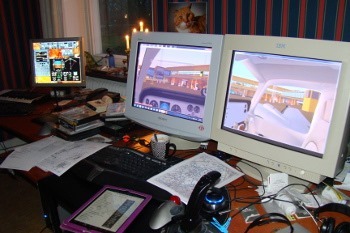 And I have found that my PC setup does not work when you are trying on a approach to a busy airport. Need to rethink my cockpit. But it is a lot of fun and sooner or later you see me with the other pilots roaming the sky.